Kindred, N.D.– Superior Manufacturing is giving away a farm grain bin to people who register at the company's booth during one of several industry tradeshows in 2014. The company will announce the winner of a 3607 Superior Bin Package in a random drawing on Aug. 1, 2014. "Our bins have been a staple of many successful farms and ranches throughout the United States," said Trever Meier, Superior's director of sales and marketing. "They're the most robust bins available today, and we stand behind them like no other company in the industry." Superior's 3607 farm bin has a 24,000-bushel capacity. Sturdy roof features withstand the harshest conditions, and Superior backs its bin roofs with the industry's only lifetime roof warranty. The roof includes three and one half-inch-deep rigidized roof ribs that are each clamped with locking brackets for security, as well as roof sheets that are bolted to the sidewall sheets in four locations to ensure there are no weak points. The roof also comes with six of the industry's largest vents, which are 20 by 20 inches. Superior forms its Herculok® floors without removing steel so they are 12 percent heavier and twice as strong as the floors in competitors' bins. In addition, Superior bins come with deep rib floor supports with extra steel and breaks that have proven to be four times stronger than the supports in competitive brands. No purchase is necessary to enter or win the 3607 Superior Bin Package, nor will a purchase increase chances of winning. All giveaway rules and regulations can be found at http://www.superiorbins.com. Superior Manufacturing LLC, Kindred, N.D., manufactures a complete line of robust grain storage, handling and conditioning equipment for commercial farmers, smaller farm operations and ranches. 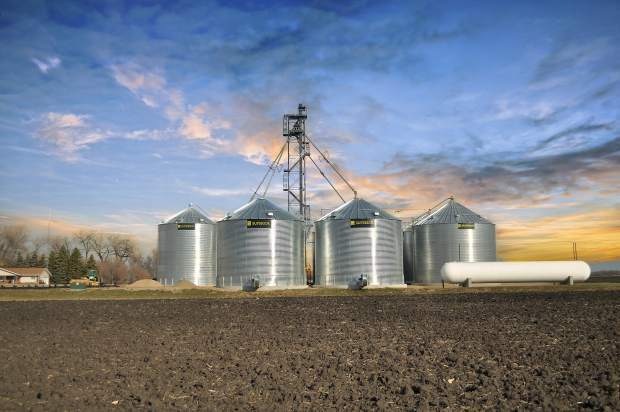 The company was established in 2008 to meet the industry's need for more durable grain bins, and today its bins and grain equipment protect crops throughout the world. In addition to its headquarters and manufacturing facility in Kindred, Superior has an additional plant in Beresford, S.D. For more information; Superior Manufacturing, 5069 168th Ave. S.E., Kindred, ND 58051; 877-989-5747; trever@superiorincnd.com; http://www.superiorbins.com.